Disneyland is one of my favorite places! Here is my must see/must do/must eat, etc... guide to Disneyland. 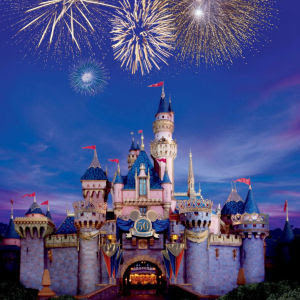 What is your must see/must do/must eat guide to Disneyland? Don't forget to check out my California Adventure list here. i have done all of those things with you! can't wait to do it again next spring with our kiddos!!!!! What is this Disneyland place that you speak of? 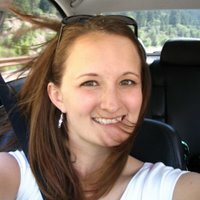 i've actually been thinking of doing a "natalie's guide to DL" since I've had so many people ask me for my recommendations, especially with kids - fun to see yours! this is probably my favorite subject! people ask me all the time what there is to do at dl. only people that love it and are experts call it dl- by the way! that's a very informative list-i'm printing it and taking it with me on my next trip so i'll be sure not to miss a thing -especially all the yummies! Don't forget the fritters in New Orleans Square. They go great with the mint juleps! Nice list! It's fun to see that so many of the things that you've described are things that our family does too. I've got to admit, however, that I am not a big fan of Tune Town. In fact, I wish they would tear it out and start over. That said, Gadget's is a fun ride, but only when the park is about to close and you can ride it over and over again without any lines. One other thing - Pirates is a great place to catch a 3 minute nap! When we this summer, we are actually spending a day at Cal Adventure - something our family has never done! Love this post! Your blog really is so great! I want to retire to the disneyland hotel and eat a goofy cake every morning! You would love the goofy cake too! There is a yellow diamond engagement ring at the jewlery store in New Orleans Square that I fell in love with about three years ago. I try it on every time I go in! Too bad its 30,000 dollars... someday right? LOVE that place! i would add catching one of the shows to your list. love fantasmic, but the new(ish) fireworks show is awesome. This came just in time. We are going on Saturday. Great idea-Thanks! I'm soooooo excited! We'll see ya there on Monday! Just a few more days for me and I'll be there again. This will be a different trip. I want to go inside every shop and store, just because I can. Of course we'll ride a few rides too. The Toy Story 3D ride in Cal.Adventure is one of my new favs. i love all your suggestions! i would add in adventureland though, that you HAVE to get the pineapple whip by the tiki room! it is so delicious, i dream about it.